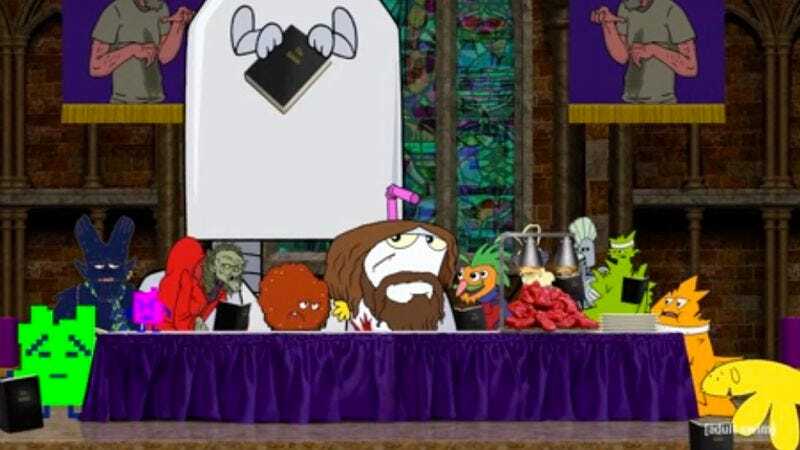 The episode primarily focuses on the “Forever” part of the title, with Master Shake and Meatwad following the word of the “Bibble” in an attempt to achieve a religious awakening, while Frylock and Carl bathe in some immortality shampoo and attempt to Jackass their way to internet fame. It’s fairly funny, although it’s a bit disappointing to [spoiler!] see Shake killed within the last four minutes. But the Quad-laser is back! Even if Aqua Teen Hunger Force could continue as a online-only series of random events, that would be pretty great.